While Squeeze has put together a lot of great songs over the years, many of their later albums were overshadowed by the band's superlative early albums like Cool for Cats and Argybargy. This may be the band's best overall album since 1981's East Side Story. Also, their style of ironic Beatle-derived pop is making a comeback with bands like Oasis. 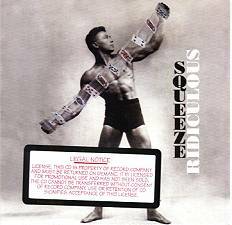 So, it's just Squeeze's bad luck that soon after this album was released, IRS Records shut down operations. Copyright � 1996 PopEntertainment.com. All rights reserved. Revised: January 31, 2016.